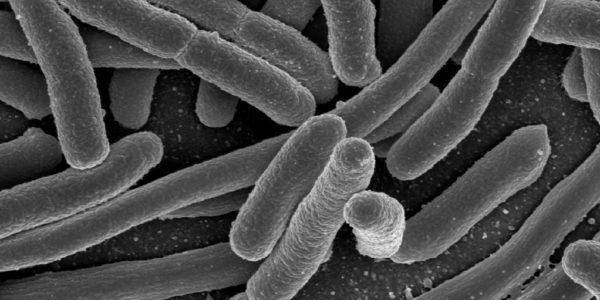 A common belief down through history was that microbes, and even larger organisms, flies and rats for example, could originate from organic material during fermentation, putrefaction, etc. This idea that life could spring from dead or non-living material spontaneously, i.e., outside of the reproductive processes whereby life springs from living antecedents, came to be called spontaneous generation. In a series of ingenious and cogent experiments in the 1860’s Louis Pasteur proved that life always comes from life, thus spontaneous generation or abiogenesis is a chimera. Pasteur’s empirical research in this field, which has never been falsified or superseded by any later experiments, firmly established the Law of Biogenesis as the fundamental law of experimental biology. In its classic expression omne vivum ex vivo the law states that every living thing is the product of reproduction by another living being or beings. Undaunted by Pasteur’s findings, two ardent Darwinian naturalists, Thomas Henry Huxley and Ernst Haeckel, persisted in seeking some extremely simple form of life in statu nasciendi, i.e., still in process of being born from non-living matter. Publishing in 1866 Haeckel claimed to have discovered such a life form in mud dredged from the sea bottom and he created the group of the Monera, the protoplasm of which was said to be entirely homogeneous, lacking even a nucleus. Monera, Haeckel claimed, constituted a kind of living mud or “Urschleim ” (“Source slime,” roughly) whence developed other more complex forms of life. Huxley, with an eye to the sea bed habitat of the Monera , gave one branch of them the generic name Bathybius Haeckelii‘in honor of Haeckel. Soon other researchers were “discovering” even simpler and more primitive forms of Urschleim, and giving them impressive sounding names, Protobathybius Robesonii, Protamoebe primitive, etc. In a speech in 1870 Haeckel claimed that it was “almost incontestable” that these Monera originated by abiogenesis, i.e., that this simple life form emerged from non-living matter by spontaneous generation and was representative of the first life of the biosphere. In 1872 a scientific expedition embarked on the vessel HMS Challenger to make soundings and dredgings ‘in the three great ocean basins. The scientists on board found that when mud from the sea bottom came in contact with alcohol, the mud took on the appearance B. Haeckelii, and their definitive conclusion was that the mud was simply mud, containing no organic matter whatsoever. Thus the supposed life form Monera, the “Urschleim ” from the bottom of the sea, which, was embraced by nearly all evolutionists of that day as bridging the gap between matter and life, turned out to be a pure mineral precipitate. Before such a result, it is not allowed to smile, and would one not be excused for calling to mind, that astrologer of the myth who discovered animals in the moon because a bat had entered into his telescope? These, however, are the surprises which incredulous science gives us always when bias presides at its investigations! If only such misfortunes would make incredulous scientists more cautious, but it suffices for one to read the latest writings of Huxley and Haeckel to note with what contempt and with what haughtiness the adversaries of transformism are treated by them. An article written in the 1960’s by N. A. Rupke, titled “A Summary of the Monera Fallacy,” gives the following summation of the salient features of what we might call the “Monera Moment” of modern scientific history. Not a glorious chapter, it rivals the “Phrenology Moment” as the preeminent gaffe in the annals of modem pseudo-science. In order to establish abiogenesis-implicit in any consistent hypothesis of transformism-the most renowned biologists of that time, viz., Huxley, Haeckel et al, postulated the fictitious Monera and “discovered,” “observed,” and “analyzed” the most simple “representative,” B Haeckelii. Moreover, the “find” of a still lower form, namely Protob. Robesonii, was reported. In regard to an already “discovered” form, viz., Prota. primitiva, Haeckel “observed” the reproduction process of fission-though the relevant “organism” did not exist. And some naturalists “observed” B. Haeckelii in a fresh sample of mud-though it was a mere sulphate of lime, which formed only when placed in alcohol. Also, Gumbel, Zittel et al, foremost geologists of that time, introduced the Monera into geological literature. Finally, to all this the majority of the contemporary biologists and geologists readily assented. As a consequence of the impact of the philosophy of evolution. these men did not observe fact, but a fictitious system. In that way the philosophy of evolution has exerted a harmful effect on the study of nature and on the progress of science. Victorian science saw the protoplasm of the living cell as just a blob of more or less homogeneous material, not much different from ordinary mud, something resembling jello or tapioca pudding. The transformist bias of 19th Century science was toward “tiny step” transitions as against great leaps or saltations. Thus the evolutionary transition from non-living matter to living matter had to be a tiny step, from simple mud to simple protoplasm. Today, superimposed over this quaint Victorian picture of simple protoplasm, we have the Information Age icon of hyper-complexity, the living cell as extreme machine, a space shuttle instead of tapioca pudding! Michael Denton, in his book Evolution: A Theory in Crisis offers us a glimpse of the living cell as seen by cutting edge researchers of the late 20th Century. To grasp the reality of life as it has been revealed by molecular biology, we must magnify a cell a thousand million times until it is twenty kilometers in diameter and resembles a giant airship large enough to cover a great city like London or New York. What we would then see would be an object of unparalleled complexity and adaptive design. On the surface of the cell we would see millions of openings, like the port holes of a vast space ship, opening and closing to allow a continual stream of materials to flow in and out. If we were to enter one of these openings we would find ourselves in a world of supreme technology and bewildering complexity. We would see endless highly organized corridors and conduits branching in every direction away from the perimeter of the cell, some leading to the central memory bank in the nucleus and others to assembly plants and processing units. The nucleus itself would be a vast spherical chamber more than a kilometer in diameter, resembling a geodesic dome inside of which we would see, all neatly stacked together in ordered arrays, the miles of coiled chains of the DNA molecules. A huge range of products and raw materials would shuttle along all the manifold conduits in a highly ordered fashion to and from all the various assembly plants in the outer regions of the cell. We would wonder at the level of control implicit in the movement of so many objects down so many seemingly endless conduits, all in perfect unison. We would see all around us, in every direction we looked, all sorts of robot-like machines. We would notice that the simplest of the functional components of the cell, the protein molecules, were astonishingly, complex pieces of molecular machinery, each one consisting of about three thousand atoms arranged in highly organized 3-D spatial conformation. We would wonder even more as we watched the strangely purposeful activities of these weird molecular machines, particularly when we realized that, despite all our accumulated knowledge of physics and chemistry, the task of designing one such molecular machine-that is one single functional protein molecule-would be completely beyond our capacity at present and will probably not be achieved until at least the beginning of the next century. Yet the life of the cell depends on the integrated activities of thousands of different protein molecules. We would see that nearly every feature of our own advanced machines had its analogue in the cell: artificial languages and their decoding systems, memory banks for information storage and retrieval, elegant control systems regulating the automated assembly of parts and components, error fail-safe and proofreading devices utilized for quality control, assembly processes involving the principle of prefabrication and modular construction. In fact, so deep would be the feeling of deja-vu, so pervasive the analogy, that much of the terminology we would use to describe this fascinating molecular reality would be borrowed from the world of late twentieth-century technology. What we would be witnessing would be an object resembling an immense automated factory, a factory larger than a city and carrying out almost as many unique functions as all the manufacturing activities of man on earth. However, it would be a factory which would have one capacity not equalled in any of our own most advanced machines, for it would be capable of replicating its entire structure within a matter of a few hours. The living cell as empirical datum is vastly different from what researchers of a century ago thought they were dealing with, and the way we picture the living cell has greatly changed. Instead of the Victorian Age image of tapioca pudding we have the Information Age image of the giant airship or space station. Or again, frequently the suggested comparison today is with the new Sea Wolf class of submarine, reputed to be the most complex machine ever assembled by man-from stern to stern the vessel jam-packed with ultra-sophisticated computers and software. So great has been the growth and change of the living cell as empirical datum that it has broken through the Victorian Age structure of theoretical science, the theory of organic evolution, leaving it behind, a cast off carapace. A new theoretical structure is rapidly developing, the theory of intelligent design, calculated to address the twin attributes of the living cell, fantastic complexity and vast amounts of coded information. If intelligent design theory, given its radical bias against spontaneous generation and abiogenesis, had in the 1870’s been the operative theoretical structure governing research on mud samples from the sea bottom, the Monera debacle in all probability would not have happened. A scientific hypothesis should be judged according to its heuristic value, i.e., whether it stimulates the discovery of still unknown facts. In the Monera episode, as we have seen, the hypothesis of evolution did not lead to fact but to fiction. This is precisely the conviction we must escape from if we are to be empirical researchers and not philosophical fantasizers. Biological science has established that even the simplest forms of life, the amoeba or a virus for example, involve extremely differentiated protoplasm of fantastic complexity. The gap between non-living chemicals and a living cell is not the tiny step predicted by the defective hypothesis of organic evolution, but a vast gulf of Grand Canyon scale that can only be traversed by a saltation or giant leap of comparable proportion. This brief article relies on N. A. Rupke’s fuller treatment of the subject contained in his article “A Summary of the Monera Fallacy” published in the anthology Scientific Studies in Special Creation, Walter E. Lammerts ed., Presbyterian and Reformed Publishing Co., 1971, pp. 169-183, ISBN 0-940384-08-6. The Michael Denton quotation is taken from his book Evolution: A Theory in Crisis, Alder & Alder Publishers, 1986, pp. 328,329, ISBN 0-917561-05-8. The supposed fact of spontaneous generation of living organisms implied that the biosphere itself may have derived from non-living matter by some similar and purely naturalistic process. This supposed primordial origin of first life from non-living material came to be called abiogenesis. Belief in abiogenesis and in later incidents of spontaneous generation was perhaps a pardonable superstition or mistake in the pre-scientific age, but its perpetuation up to the present time by proponents of organic evolution is inexcusable.